Last fall I gave an invited presentation to a private foundation that is looking into demographic, behavioral, and technological changes likely in coming decades. My talk (on transportation) discussed how changes such as the transition from petroleum-fueled to alternative forms of propulsion, the emergence of various levels of vehicle automation, and the growth of Mobility as a Service (MaaS) are making long-range transportation planning far more difficult than it has been in recent decades. The toll sector of transportation arguably has the most at stake in predicting what impacts will happen when. Last month, two sessions at the TEAM-Florida annual meeting in Orlando presented early efforts by traffic and revenue forecasters AECOM and CDM Smith to quantify these uncertainties. Headway reductions due to connected vehicles (CVs). From a number of runs, with a range of numbers for each of these, they suggested that by 2050 reduced headways may deliver increased vehicle throughput—a de-facto increase in highway capacity, other things equal, of 5 to 12 percent. But since they also expect demand for toll road use to increase by 2 percent per year, the throughput would probably only defer needed widening of those toll roads by a decade or so. In response to a question, Nelson suggested that these developments would have a somewhat negative impact on managed lanes (express toll lanes), since somewhat less congestion in regular lanes would likely reduce demand for the manged lanes (MLs), reducing prices and revenue. He suggested this might lead to changes in pricing policy, and—with automation leading to more-precise control of vehicle movements—a possible introduction of trucks into MLs to cope with what might otherwise be revenue shortfalls. Fraction of MaaS that is shared use. Each of the five scenarios in the presentation had various combinations of these five factors, and were used to project daily VMT from 2018 through 2060. The baseline Scenario A (more or less today’s situation, with none of these innovations) projects VMT in 2060 to be 87 percent more than in 2018. Scenario B, with mostly privately owned conventional and autonomous vehicles and “low” penetration of MaaS, shows total VMT in 2060 as 140 percent higher than in 2018. Scenario C posits MaaS reaching 65 percent mode share, though with mostly non-shared trips, yielding 120 percent growth in VMT by 2060. Scenario D posits a significant fraction of MaaS as shared trips, yielding 2060 VMT that is only 76 percent greater than in 2018. The final Scenario E, with a large majority of MaaS as shared rides led to 2060 VMT that is just 47 percent greater than in 2018. Another interesting Regan slide showed a graph with potential time periods for the transitions to EVs, Level 4 AVs, Level 5 AVs, and MaaS with and without a driver. For example, with new EV sales ramping up starting in about 2024, virtually the entire fleet could be replaced by 2050. The time frames for large-scale use of Level 4 and Level 5 AVs did not overlap at all, with significant usage of Level 5 AVs not appearing until 2040 and increasing thereafter. And MaaS with no driver was shown beginning in the early 2030s and increasing thereafter. While my own prognostications are somewhat more conservative, it’s encouraging to see these topics being explored via scenario testing. Both TEAM-FL sessions acknowledged that the big impacts are decades away, so “why does it matter to tolling today?” Presenters pointed out that most toll facilities are financed by long-term (e.g., 30 years or longer) toll revenue bonds, so the out-years of projected revenue could well be altered by these disruptive changes in mobility. It’s too early for bond rating agencies to be making decisions based on these initial efforts, but it’s encouraging that traffic and revenue forecasts are starting to grapple with quantifying these long-term impacts. Priced managed lanes provide drivers with an option to bypass congestion for a small fee. The key to ensuring uncongested travel is raising or lowering the variable toll to ensure the managed lane operates at a level of service D or better, allowing travel at 45 mph or higher. Toll rates typically range from $0.10 to $1.00 per mile, with higher rates on very busy corridors such as I-66 in Northern Virginia. The low overall toll rates haven’t stopped misleading news stories and claims by anti-toll advocates that Americans are being forced into poverty by high tolls. Since voters have a negative visceral reaction to tolls, some politicians have pressured managed lane operators to impose price caps. While these people may mean well, a price cap undermines the purpose of pricing, worsening travel conditions in the managed lane without improving conditions in the general purpose lanes. Traffic throughput versus speed is a sideways U-shaped curve. At 40 mph, a freeway lane has a throughput of 2,000-2,500 vehicles per hour. However, at 10 mph a freeway lane can accommodate only half that many vehicles. Further, when a significant share of managed lane vehicles are buses and vanpools, managed lane travel speeds have an even more dramatic impact on the number of people moving through a corridor. Pricing the managed lanes too low hurts almost every user of the highway. A recent Texas A&M Transportation Institute study written by Nick Wood quantified the impact of price caps on two managed lane corridors: I-95 in South Florida and I-405 in the Seattle suburbs. Speed, volume and toll rate data were collected. The study focused on weekdays; weekends and holidays were not examined. 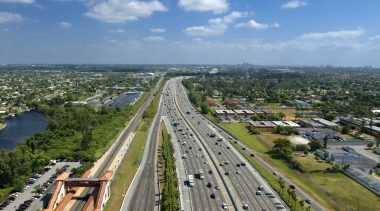 Wood found that the price cap limits the effectiveness of the 95 Express lanes in South Florida. In the northbound lanes during the afternoon peak period, the capped toll rate is in effect between 4:15 and 6:45—the peak of the peak. While the cap is in effect, traffic speeds and managed lanes performance nosedive. The speed drops below the federally-required minimum of 45 mph for 3 hours (4:00-7:00). The number of vehicles the managed lane can accommodate drops from 1,267 per hour at 3:30 PM to 1,123 during the peak travel time. Overall PM peak period capacity falls by almost 10 percent. Despite having the legal ability to do so, FDOT has not increased the cap. Originally, the Florida Legislature limited the maximum toll between mile markers 4 and 12 to $1.50 per mile. However, Florida DOT can increase the toll by up to $0.50 per mile if the managed lanes reach the capped toll rate on at least 45 days in a six-month period. Thus far FDOT has not increased the toll cap. Further, if a customer’s average trip speed falls below 40 mph, a recent Florida law requires that they be charged a minimum toll (although it is unclear what that toll would be). The South Florida price cap leads to some perverse effects. While traffic moves at the speed limit early in rush hour, as more users flood the lane the speed quickly drops. As a result, commuters are penalized for leaving work later. Those who use the Express Lanes at 3:30 PM pay $7 to travel at 52 mph. But those who use the lanes at 6:00 PM pay $10 to travel at 35 mph. Travel speeds in the managed lanes average only 10-15 mph higher than the GP lanes during rush hour. The entire purpose of managed lanes is to provide a congestion-free option during rush hour when the general purpose lanes are more congested. If the managed lanes are almost as congested as the GP lanes, managed lanes are not operating as intended. The Washington State price cap is even more problematic than Florida’s. In the one-lane southbound segment during the morning peak, the capped toll rate is $0.68 per mile between 7:20 and 8:35 AM. As with the I-95 lanes, performance suffers. During the peak morning rush, managed lane speeds average 24 mph. GP lane speeds are only 2-6 mph slower. The managed lane speeds are well below the federally-required 45 mph for three hours (6:10-9:10). Managed lane carrying capacity drops from 1,592 vehicles/hour at its peak to 1,063 vehicles at 8:30 AM. Overall AM peak capacity decreases by 27 percent. The Washington State Transportation Commission is more limited in its ability to adjust the $10.00 cap. The managed lanes must meet the federal performance minimum of at least 45 mph at least 90 percent of the time, yet WSTC cannot raise toll rates to limit overloading the managed lanes. Further, humans are not allowed to override the algorithm, even in the case of an accident. As a result, when a traffic crash occurs in the GP lanes, the price in the managed lane cannot be increased, so it is quickly overloaded, losing most of its effectiveness. The Washington cap, combined with geometric design shortcomings in the corridor, has led to poor managed lane performance. A University of Minnesota study sensibly recommended that the $10.00 cap be eliminated. It also found that the variable toll rates do not rise fast enough; some drivers were paying $4 less than others in similar conditions. Building on the University of Minnesota study, I have several recommendations to improve managed lane performance on both I-95 and I-405. First, DOTs and toll road agencies need to eliminate or at least the raise price caps. Second, they should further limit free passage for carpools in managed lanes, so that nearly all vehicles are subject to variable pricing. Finally, USDOT needs to enforce strictly the rule that federally aided managed lanes operate at 45 mph or more at least 90 percent of the time, and require states operating managed lanes that consistently violate this rule to repay federal highway construction funds. Most managed lane agencies’ goals are to 1) provide a guaranteed uncongested travel option and 2) move more people through the corridor in cars, vanpools and buses. Agencies need to operate the lanes to best serve their customers. The threat of loss of funds should help ensure that political interest does not take precedence over serving managed lane customers. A growing number of trucking industry people (including fleet operators and truck manufacturers) see platooning as one of the earliest applications for truck automation. We are not talking here about Level 5 (no driver or cab) automation, but rather of lower levels with the driver in the cab running the truck manually for portions of a trip but not having to maintain either vehicle spacing or lane-control when the truck is behind the lead truck of a platoon. Most fleet trucks already have extensive communications capabilities, and a growing fraction have automatic emergency braking (AEB) and lane departure warning (though not yet automated lane-keeping). Despite growing interest in platooning in the U.S. trucking industry, I was surprised to learn that planning and on-road testing are well ahead of us in Europe and Japan. A session at the TRB Annual Meeting last month had presentations from researchers at U.S. DOT, Japan’s Ministry of Economy, Trade, & Industry (METI), Europe’s ENSEMBLE project, and leading truck producer Scania. While DOT’s Kevin Dopart gave an overview of ITS research that includes both a platooning human factors study and another on the impact of platoons on bridges—both valuable efforts—Europe and Japan seems to be much further along in on-road operational testing. What’s driving the program in Japan is concerns about a looming driver shortage, due to the aging and shrinking of Japan’s population. METI’s goal is multi-truck platoons with trucks from multiple companies (inter-operability) with a driver only in the lead truck. They have already run on-highway platooning demonstrations (all trucks with drivers). Between now and 2021 they will test four-truck platoons, first with safety drivers in the following trucks. The trucks will use cooperative adaptive cruise control (CACC) and lane-keeping assistance, and the tests will take place on expressways. Europe’s major truck platooning project is called ENSEMBLE. They are gearing up for highway trials with up to seven trucks, with participation from all six European truck manufacturers. 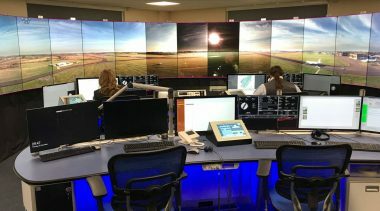 Initial testing is with longitudinal (spacing) control only, with new trucks joining the platoon only from the rear, and drivers responsible to take control in bad weather or in the event of system failures. Later tests will add higher levels of automation. Test track runs will be held in 2020, and on public highways in 2021. Truck manufacturer Scania explained its vision of higher automation levels, culminating with a driver only in the lead vehicle, as in Japan. A growing number of trucking experts point to the need for platoons to be created “on the fly,” rather than having to be organized in advance. At a U.S. trucking automation conference last spring, Bill Brentar of UPS said, “You almost have to have ‘platooning on the fly’ because you don’t have people lined up to park at the same time or meet at the same time every day, so if you don’t have platooning on the fly, it limits the amount of miles you can platoon.” Platooning on the fly is also part of Europe’s ENSEMBLE project goals. There was no mention of dedicated truck lanes at the TRB session, but with platoons up to seven trucks in length, I think the case for doing this in dedicated lanes is very strong. And in fact, the illustrations in the Scania presentation appeared to show dedicated truck lanes. FHWA should be looking seriously at where dedicated truck lanes will make the most sense, both to relieve traffic congestion on Interstates that are already major truck freight corridors and in corridors that are likely to be early sites for truck platoons. For the past 10 years, rail advocates have argued that the U.S. needs a more robust passenger rail network to provide redundancy and customer choice. The high taxpayer costs of such a system have derailed that vision. Yet a new report from the Chaddick Institute shows the often forgotten and ignored intercity bus mode is providing that redundancy and choice. Further, buses offer cheaper tickets than Amtrak and don’t require large government subsidies to operate. Buses complement the existing travel modes well. Aviation is the fast yet pricy option, car travel is the mid-priced flexible model (travel exactly where and when you want), and bus is the low-cost option. A just-released study, New Directions: 2019 Outlook for the Intercity Bus Industry in the United States, written by Brian Antolin, Joseph Schwieterman, and Matthew Jacques, highlights six recent trends in the bus industry. First, a strong economy strengthened demand somewhat, helping to offset the impact of low fuel prices (which lead more people to drive). Companies have simplified and improved the ticketing and boarding process. Megabus offered reserved seating for a small fee, while Greyhound introduced electronic ticketing. While overall bus industry revenue was lower in 2018, Firstgroup, owner of Greyhound, reported modest revenue growth of 1.7 percent, but revenue at the more-upscale Greyhound Express grew 7.7 percent. On the other hand, Stagecoach, owner of Megabus, reported a 3.2 percent overall revenue decline and a 1.7 percent drop at Megabus. As a result, Stagecoach sold its North American operations to Variant. Second, technology platforms are allowing charter companies and regional operators to better compete with national players. These smaller companies, which may operate only 2-5 times per week, are using dynamic pricing and flexible scheduling to offer customized service. Rally and Skedaddle use crowd-sourced data to offer service to special events such as concerts and rallies. Ourbus and Flixbus offer service when demand is strongest, adjusting their schedules frequently. Third, bus operators are adding service to suburbs. Instead of serving only central cities, operators started serving suburbs of Las Vegas, Los Angeles, Phoenix, San Diego, San Francisco and Tucson. Flixbus operates service between Southern California suburbs of Anaheim, Burbank, Santa Monica and Victorville, and Northern California suburbs of Richmond and Vallejo. Carriers are adding air and rail connections. Red Coach started a Florida network emphasizing airports while Trailways of New York sells bus-train transfers on some Amtrak routes. Fourth, services operating near or from college campuses during college breaks are growing quickly. Megabus added service to the University of Virginia in Charlottesville. Rally offered service during Thanksgiving weekend from the University of Maryland and Penn State to the Philadelphia metro area and southern New Jersey. As a result, downtown bus terminals in college towns are closing. Ithaca, NY responded by adding a $5 fee for bus services, which could reduce demand and profitability of intercity bus service. Fifth, state-supported services are becoming more sophisticated. The Federal Transit Administration (FTA) offers $591 million in intercity bus subsidies to places with fewer than 50,000 people. Bustang, which operates in Colorado, added several new routes due to a partnership with an airport shuttle operator. Any taxpayer subsidies need to be monitored closely. Subsidies that allow low-income travelers to make needed trips are defensible, given that buses cost a lot less than Amtrak or subsidized airline service. But subsidies to high-income riders who could afford the trip themselves are as problematic as subsidies to high-income Amtrak riders. Sixth, premium services continue to grow throughout the country. Best Bus and Washington Deluxe offered new scheduled service in the Northeast Corridor while Catskill Carriage provided service between New York City and Pennsylvania ski resorts. Service continues to increase, particularly in the Northeast and Southwest, although not as much as during the high-growth years of 2006-2013. Many of the new entities are creating unique service niches. CoachRun uses a network of travel agents to publicize services and issue tickets to international travelers. Catskill Carriage features an onboard attendant and offers artisanal snacks for its special events and seasonal service. Washington Deluxe offers a 2 x 1 seating configuration with extra legroom to appeal to high-end customers in the Northeast market. Two companies (Ourbus and Flixbus) launched major service expansions in 2019. Both contract with different travel operators to offer bus service, allowing the companies to focus on service planning and customers service. Ourbus added service between New York City and Syracuse, Ithaca and Washington DC, between Miami and Tampa, and between Austin and Dallas. Flixbus offers service in Arizona, California and Nevada. It reports a successful rollout with load factors of 60-75 percent. Providing access to bus stops continues to be a challenge in central cities. Beiber Tourways was rejected from New York City’s Port Authority bus terminal due to a payment dispute. Beiber started operating from city streets where it was fined by the New York City police for its failure to obtain permission to use city bus stops. Some of the blame lies with Bieber, but it’s important for the public sector to work with private companies to prevent service disruptions. The growing intercity bus industry shows that it is possible to offer quality, low-cost intercity service with few if any taxpayer subsidies. For several decades, some policy analysts on the center/right have advocated a more-robust 21st century version of federalism, under which there would be something of a return to the founding fathers’ vision in which the federal government focused on a relatively limited number of functions (defense and foreign policy, macroeconomic policy, ensuring interstate commerce against state interference, etc.) with states and local/regional governments resuming their historic roles of being responsible for nearly all the civil and criminal law, education, urban policies, and infrastructure. The legal aspects of this perspective are reflected in the work of the Federalist Society, and policy ideas along these lines have emanated from some conservative and libertarian think tanks and other organizations. So it was a revelation when I discovered a long article by new urbanist Richard Florida in the July/August 2017 issue of Politico Magazine. Headlined “A Declaration of Urban Independence,” its subhead read, “Cities are under assault in the age of Donald Trump. It would be better for the country if they ran themselves instead.” As I read the article last month, I kept underlining, while marveling that this piece had received so little attention. I commend it to your attention, but would also like to summarize and quote a few key points. As we discuss and debate the need to renew much of America’s aging infrastructure, these thoughts on rethinking the respective roles of federal, state, and local/regional governments are worth serious consideration. A mega-project to replace the aging I-10 bridge across the Mobile River is nearing final federal approvals, and construction is expected to begin early next year. The project includes replacing the existing Bayway corridor approaching the bridge, rebuilding it 10 feet higher to deal with increased flood risks. Including the Bayway and the cable-stayed bridge, the project will be 12 miles in length. It will be financed based on toll revenues and procured as a long-term public-private partnership (P3). The long-debated plan to charge variable tolls to use congested I-5 and I-205 in Portland is “likely eligible” for federal approval, FHWA told the state in January. The state is seeking permission under two different federal provisions. For I-205, it plans to use tolls to replace or rebuild the bridge at the Clackamas County chokepoint, under a long-standing provision that permits replacing a non-tolled Interstate bridge with a tolled one. But to toll all lanes on I-5 requires approval under the Value Pricing Pilot Program. While allowed under that program, no state has ever sought permission to do this. Oregon must now spell out how it plans to use the revenue from I-5 tolling. The former Brightline passenger rail company recently renamed Virgin Trains USA, announced last month that it plans to issue close to $500 million in common stock to help pay for its expansion. It also announced that construction of Phase 2 of its initial South Florida line will begin in March, linking West Palm Beach with Orlando, where it will terminate at the new intermodal center at Orlando International Airport’s new South Terminal. From there, the company plans to build another new link to Tampa, though no schedule for that has been announced. Have Carmakers Overestimated Demand for Electric Vehicles? With Maryland DOT moving forward on adding express toll lanes to its half of the Capital Beltway (I-495) to continue the ETL network that has emerged on the Virginia side of the Potomac River, the missing piece has been the American Legion Bridge which takes I-495 across the river. On January 2nd, Maryland Highway Administrator Greg Slater announced that replacing the bottleneck bridge will be the first priority of Gov. Larry Hogan’s $9 billion express toll lanes program. Virginia has recently signed an agreement with Transurban under which it will extend its existing I-495 ETLs up to the bridge. But the bridge itself belongs to Maryland, so it has the responsibility to take it from there. The Owner-Operator Independent Drivers Association (OOIDA) has filed suit against the Indiana Finance Authority and Gov. Eric Holcomb for its action last year that increased truck toll rates on the Indiana Toll Road by 35 percent, with the new revenues to be spent on other roadways in the state (as well as bike trails and airport projects). The long-term concession agreement under which the Toll Road was leased for 75 years in 2005 limited annual toll increases to an inflation index. Starting March 1st, vehicles with clean-air decals will no longer get free passage on LA Metro’s two express toll lanes, on I-10 and I-110, with only a single person on-board. On the I-10 express lanes, free passage will apply only to those meeting the usual peak-period requirement of three occupants, and on I-110 this policy will apply to those meeting its two-person requirement. Those with red or purple decals can get a 15 percent discount on tolls if they fail to meet the occupancy requirement, but no such discounts are available to those with older yellow, green, or white decals. It’s not clear how this complicated system will be enforced. The Wall Street Journal (January 31st) reported that Uber Technologies, Inc. is putting new emphasis on offering trips to bus stops and rail stations. Part of the reason is to increase its revenue, leading up to its planned initial public offering of shares. But the other reason was explained by CEO Dara Khosrowshahi: “Ultimately, what we’re trying to do is replace personal car ownership. The cities of the world don’t need more cars in them.” He said this in Singapore, where government heavily taxes car ownership; realizing this objective in the United States will be a different story. Four years after it was approved by the Danish government, an 18 km immersed tunnel between the islands of Lolland in Denmark and Fehmarn in Germany has been approved by the transport minister of German state Schleswig-Holstein. The $8 billion project will be constructed by an eight-firm consortium led by VINCI Grands Projets, and a Dutch-German consortium won the dredging contract. The tunnel will provide both highway and rail access between the two countries. 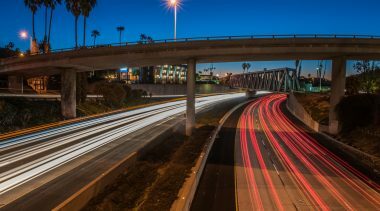 Aging and inadequate bridges exist on a number of Interstate highways, and toll finance and P3 procurement are being discussed as the potentially the best way forward. 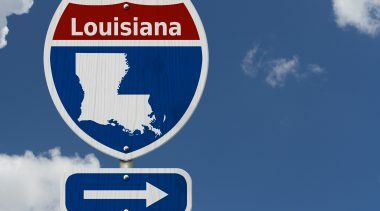 In Louisiana, two such bridges are on I-10, one across the Mississippi in the Baton Rouge area and the other across the Calcasieu River near Lake Charles. The cost of replacing the first is put at $500 million, and the recently formed bridge authority plans to explore a P3 approach, with tolls as a major revenue source. And last month, the Southwest Louisiana Economic Development Alliance recommended that the $800 million Calcasieu River Bridge be procured as a DBFOM long-term concession based on toll revenues. Should State DOTs Promote Road Diets? 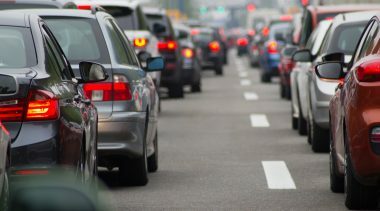 A bill in the Iowa legislature would prevent the Iowa DOT from recommending that cities reduce the number of lanes on state highways within city limits. A number of state DOTs, under public pressure from safety advocates, now advise cities and counties about potential benefits of removing lanes. 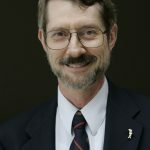 The bill’s sponsor is not saying cities can’t make decisions about their own streets, but that the state DOT should not be advocating this. A broader point concerns the function of state highways, as opposed to local roads. The reason for state highways is to ensure statewide mobility. In Florida, many of the major arterials in urban counties carry state highway designations and are intended as backstops for the relatively limited amount of expressway capacity. Those arterials, in particular, need to be protected from capacity reductions motivated solely by local concerns. 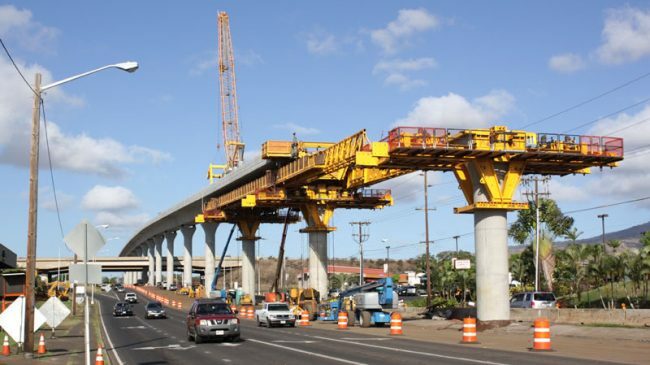 DOT’s Build America Bureau has unveiled a project cost database for major U.S. transportation projects. It was produced with assistance from researchers at the University of Maryland and covers some 130 major projects, characterized by type (tunnel, bridge, managed lanes, etc. ), location, and procurement approach (DB, DBFOM, etc.). It can be found at https://www.transportationproject.org.